The Word Mania Challenge 2014 is Malaysia’s largest nationwide online spelling competition that introduces a fun element to English literacy through an interactive virtual learning platform, reaching schools across Peninsular and East Malaysia. 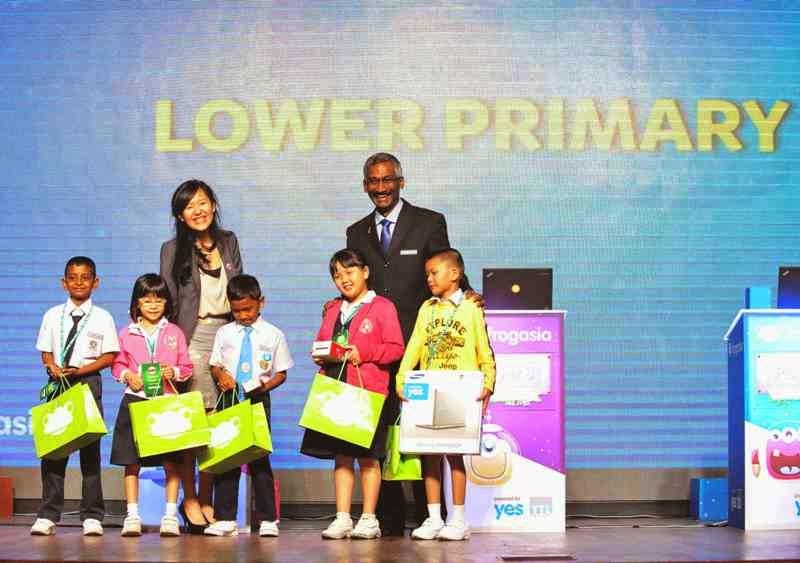 It is a joint effort between FrogAsia, Yes, YTL Foundation and LiteracyPlanet. For the past two months, 70,000 students from 2,000 schools all over the country have been battling it out in a nationwide online word-building competition. Opened to both primary and secondary students, the Challenge required them to create as many words as possible in 3 minutes from a pre-set list of letters. The champions were announced at the Grand Finals today and prizes were given out by the Deputy Minister of Education II, Y.B. Tuan P. Kalamanathan at the awards ceremony. 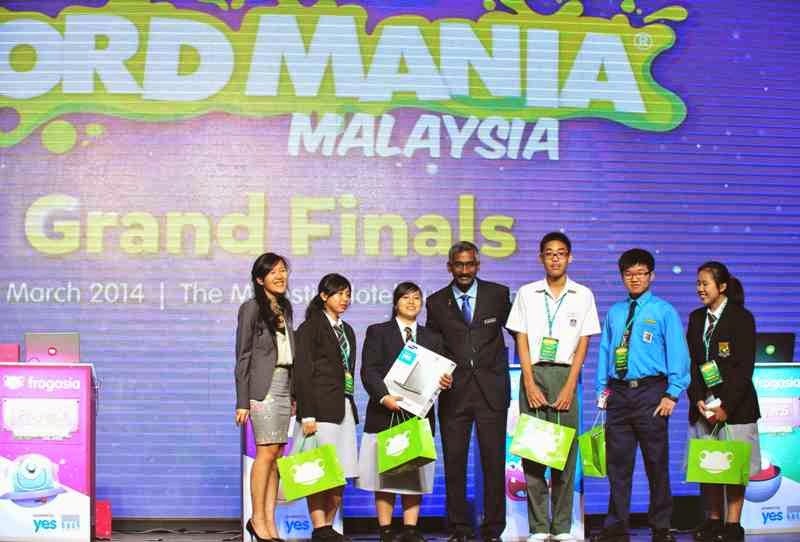 The competition was held at the Majestic Hotel in Kuala Lumpur. 20 student finalists competed in 45-minute sessions with separate categories for Lower Primary, Upper Primary, Lower Secondary and Upper Secondary. School winners for the Top 3 Scoring Primary Schools, Top 3 Scoring Secondary Schools, and the Most Participative School from each of the five regions across Peninsular Malaysia, Sabah and Sarawak were also announced. Launched on the 2nd of January 2014, the competition saw students vying for the top spots for each of the seven categories. Amazing prizes worth up to RM 1 million in total such as Samsung 4G Chromebooks, Yes 4G devices, FrogStore vouchers and LiteracyPlanet subscriptions for every student in the winning schools made the Grand Finals a thrilling event. In a short two months, the ’Word Mania Challenge’ saw 1,618,550 games played nationwide, 35,000,000 words spelled, 2,760 supportive teachers, 70,000 student participants and 2,000 schools involved. A fine example of how the ‘Word Mania Challenge’ has changed students’ perception of learning English is the story of Muhammad Qasri Hakim Bin Hj Khairul Anwar from SMK Taman Desa, Kuala Lumpur. Coming from a single-parent family with limited Internet connectivity at home, he stayed back after school for hours, and at times resorted to borrowing a Yes 4G Dongle from his teacher, Puan Nadila Mohd Yusoff, to play the Challenge at home. Teachers from participating schools also felt that the Challenge made an impact on their students. They hope to see more initiatives like the ’Word Mania Challenge’ in the near future. The Internet made lessons not only engaging and interesting but also addressed each student’s learning needs. I highly encourage other teachers to use the ‘Word Mania Challenge’ in their classes. Online competitions such as the ‘Word Mania Challenge’ can positively complement educational initiatives. It is evident from this Challenge that online learning can significantly impact the language learning experience of students. Malaysia is the first country in the world to bring its entire education community together on a single converged platform designed specifically to meet the needs of teaching and learning. Through the 1BestariNet project, students have access to a personalised learning experience regardless of their levels of learning. Certainly, Malaysia stands out as a model of Internet education for the world.